Why fail to upload QuickTime MOV to YouTube? It is well known that QuickTime MOV is comparatively large in file size than other file formats, however, YouTube has its own limitation on both file size and video length uploading limitation. Therefore, to achieve a smooth and successful file uploading process, make sure that your QuickTime file are less than 2GB, in addition, the video length would be less than 15 minutes. To get YouTube accepted uploading file size and video length from QuickTime MOV files on Mac, you can download Pavtube iMedia Converter for Mac. Which not only assists you to convert QuickTime MOV to YouTube natively uploading FLV file formats, but also assist you to reduce video file size or shorten video length with no quality loss if the QuickTime MOV video is larger than 2GB or your video is longer than 15 minutes. You can split your large QuickTime file into small video clips by file size, count or length. If you do not care much about output video quality, you can also choose you compress large file size by lowering video resolution/bit rate/frame rate in the program’s “Profile Settings” window. 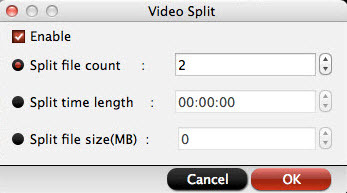 To get your desired video length, you can use the “Trimming” function in the program’s “Editing” window to cut off unwanted parts or segments. Besides QuickTime MOV files, you can also use the program to convert other compatible file formats such as AVI, WMV, MP4, MKV, AVCHD (MTS/M2TS), XAVC/XAVC S, MXF, H.265, etc into YouTube best compatible uploading formats, settings, file size and limitation. Pavtube iMedia Converter for Mac is pretty simple to use, no matter experienced user or fresh could handle it very well.In addition, it also has perfect compatibility with the new Mac OS.What’s more, the program is very stable, there are hardly any sudden crashes during the video conversion process. How to Convert/Trim/Split QuickTime MOV for YouTube Uploading? Step 1: Load QuickTime MOV file. Download the free trial version of the program. Launch it on your computer. Click “File” menu and select “Add Video/Audio” or click the “Add Video” button on the top tool bar to import QuickTime MOV file into the program. The program support batch conversion mode, you can load multiple QuickTime MOV files into the program. Clicking the Format bar, from its drop-down list, select YouTube best compatible uploading format “FLV – Flash Video Format(*.flv)” under “Flash Video” main category. 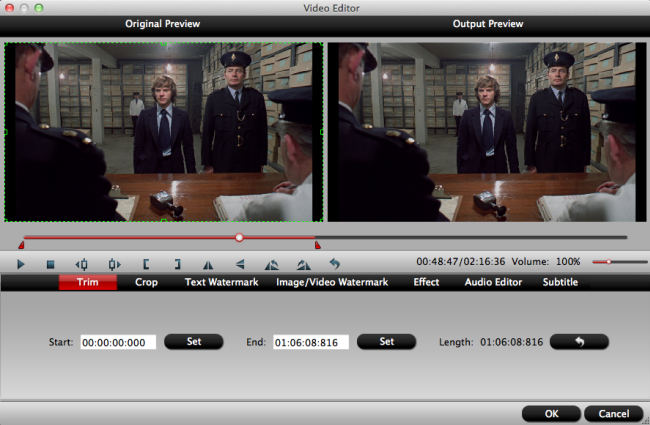 Step 3: Trim or split QuickTime MOV files. 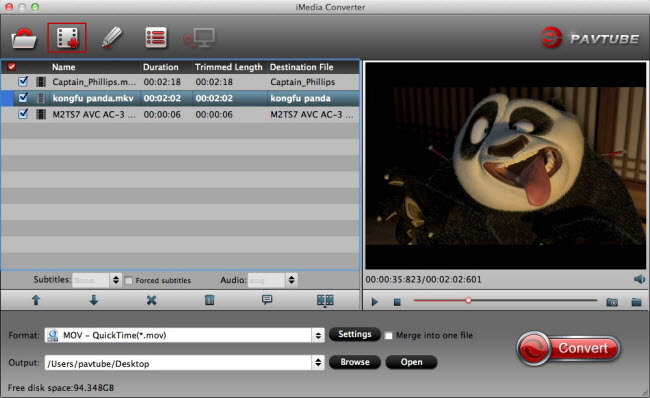 After all setting is completed, hit the “Convert” button at the right bottom of the main interface to begin QuickTime MOV to YouTube supported file formats, video length, file size conversion process. When the conversion is finished, click “Open Output Folder” icon on the main interface to open the folder with generated files. Then you can smoothly upload and share QuickTime MOV files on YouTube with best quality.